At the top of a steep and winding path, I came across the hamlet of Jambles; part of the Givry appellation. I had arrived at my first visit of the morning: the Domaine Michel Sarrazin & Fils. The Côte Chalonaise lies due south of Burgundy’s famed Côte d’Or. Aligoté, Chardonnay and Pinot Noir vineyards dot the landscape, but here they are interspersed with a variety of other crops and grazing land. From north to south, the top growing areas are: Bouzeron, Rully, Mercurey, Givry, and Montagny. Apart from the nervy, elegant Aligoté from Bouzeron, the white wines of the Côte Chalonnaise are rarely lauded. The red wines, while often decidedly rustic, can achieve a vibrant fruitiness and silken texture in the right hands, on the right vineyard sites. The commune of Givry is primarily devoted to red wine production, and is considered by many to offer the most elegant, fragrant Pinot Noirs of the region. The commune of Givry is primarily devoted to red wine production, and is considered by many to offer the most elegant, fragrant Pinot Noirs of the region. My host for the morning, Guy Sarrazin, is certainly of this opinion. “Givry has a lovely, fruity expression”, he explained, “while Mercurey is generally earthier, and Rully often lacks weight”. There are no Grand Cru vineyards here, but several excellent Premier Cru sites exist. The Sarrazins have been growing grapes in and around Givry since the 17th century. The Domaine Michel Sarrazin was established by the current generations’ father in 1964, and it was at this juncture that the winery began bottling and selling their wines. Brothers Guy and Jean Yves are now at the helm, and have gained critical acclaim in France and abroad for the great value and consistent, high quality of their range. Domaine Michel Sarrazin consists of 35 hectares in the appellations of Bourgogne AOC, Bourgogne Aligoté, Maranges, Givry, and Mercurey. I was shown into a cool, dark cellar used to stock boxed, ready-to-ship orders. The tasting bar was tucked into the corner of this charmless room. Surveying my surroundings and my gruff host, I wondered what what I was in for. Thankfully as the morning progressed, Guy warmed to his subject and the twinkle in his eye was undeniable as he poured his finest reds. Today, the Domaine Michel Sarrazin consists of 35 hectares in the appellations of Bourgogne AOC, Bourgogne Aligoté, Maranges, Givry, and Mercurey. The brothers produce 25 different wines ranging in style from crémant, to white, rosé, and red. The estates’ top wines hail from their Givry 1er Cru vineyards dotted through out the appellation. The vineyards are farmed according to the French lutte raisonnée system (literally translated as “the reasoned fight”, basically meaning that chemical sprays are strictly limited; used only when absolutely necessary). All of Sarrazin’s wines, from the most humble to the grandest are matured in top quality French oak, sourced exclusively from the François Frères cooperage. 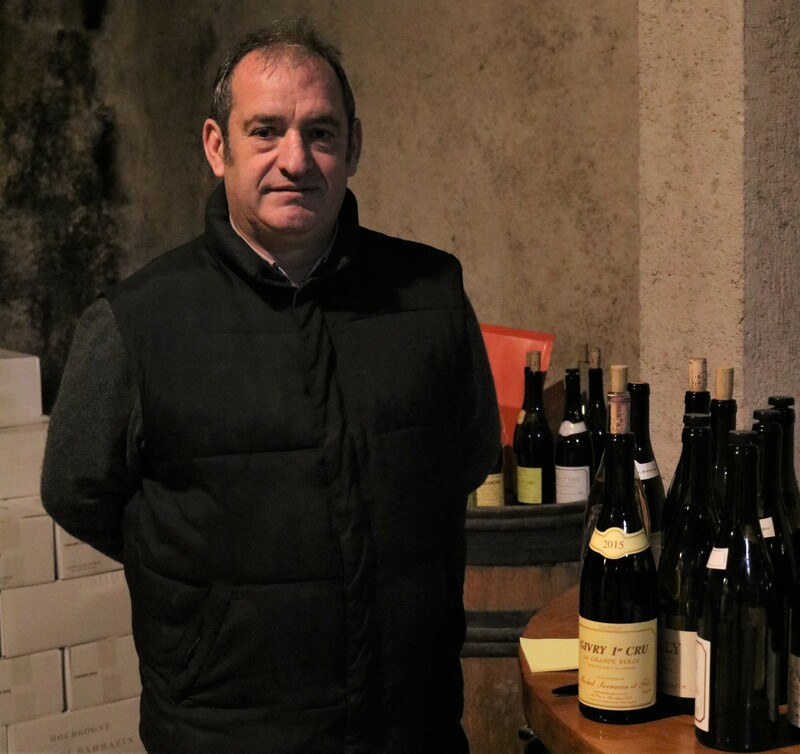 Sarrazin believes that judicious oak maturation brings the structural lift and flavour complexity he seeks to enhance the individual expression of each terroir. The duration of ageing and percentage of new barrels used depends on the vineyard. Overall, the wines were a revelation for me. The earthiness and rusticity of certain wines served to heighten complexity, underscoring lively fruit, floral, and spiced aromas. I was treated to a lengthy tasting, covering the majority of Guy’s range. 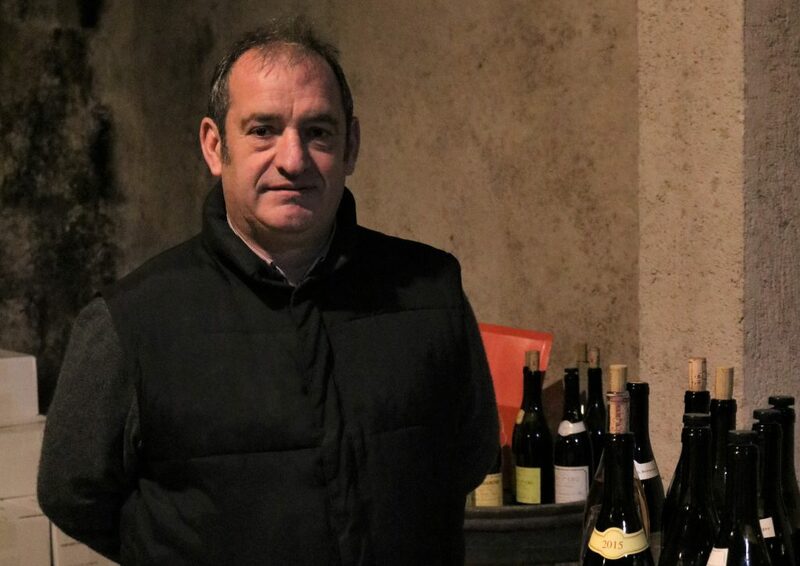 The fantastic value and dangerous drinkability of Guy’s Bourgogne AOC wines impressed me. 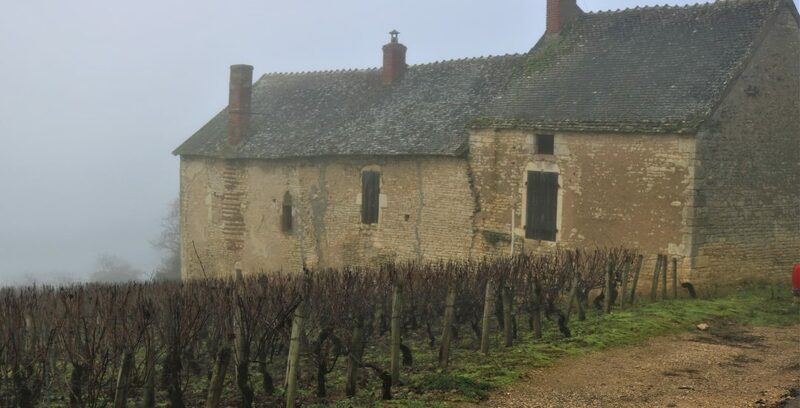 Sarrazin’s Givry 1er Crus showed how versatile the wines of the appellation can be, from the elegant Champs Lalot, to the weightier, firmer Grande Berge. Tasting notes from my favourite wines below. Aromas of white flowers, lemon, grapefruit and anis hints feature on the nose. The palate is defined by its nervy acidity, light body, tangy citrus fruit flavours, and saline mineral notes on the lifted finish. Though quite restrained on the nose, this medium bodied white comes into its own on the palate. Fresh, with attractive yellow apple and pear flavours, mingled with buttery notes, and hints of green almond. The subtle phenolic grip on the finish boulsters the structure nicely prolonging the lemon-infused finish. Pretty red cherry, raspberry and earthy nuances appear with aeration. Light in colour and body, this brisk red is brimming with juicy red berry flavours. The finish is smooth and rounded. Quite a light, lifted style of Givry, with restrained red berry and mossy, forest floor notes. Smooth and linear on the palate, with tangy red fruit flavours and lovely, silky tannins. Very elegant, with a heady violet perfume underscored by raspberry, red cherry and cedar nuances. The palate is incredibly tangy and firmly structured, with lively acidity, medium body, tart red fruit flavours, and fine-grained tannins. Discreet, with an earthier, less fruit forward expression than Champs Lalot. The palate is weightier, with quite firm, chewy tannins and lingering herbal, red berry notes. Intially restrained, the Grande Berge gains quickly in intensity, with intriguing exotic spice, red berry, red currant, and cedar notes. Crisp, vibrant acidity is matched by a very taut structure on this medium bodied red. It finishes quite earthy, with firm tannins and lingering mocha flavours. The 2015 vintage of Grande Berge is highly aromatic, with intense red cherry, black plum, and raspberry notes. Still tightly knit, but far weightier on the palate, with an abundance of ripe red berries, mocha, and spice. The tannins are broad and ripe. What Makes Pinot Noir Special? My name is Jacky Blisson (née Cole). I am a Master of Wine hopeful nervously/ naively embarking on my 2nd year studies. After a 10-year sojourn working for wineries in Burgundy, South Africa and the Rhône Valley, I am back in my hometown of Montréal drinking my way through the SAQ & LCBO’s wine lists. Keep up to date! Join our mailing list.